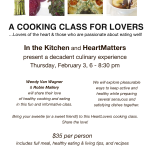 A Cooking Class for Lovers! 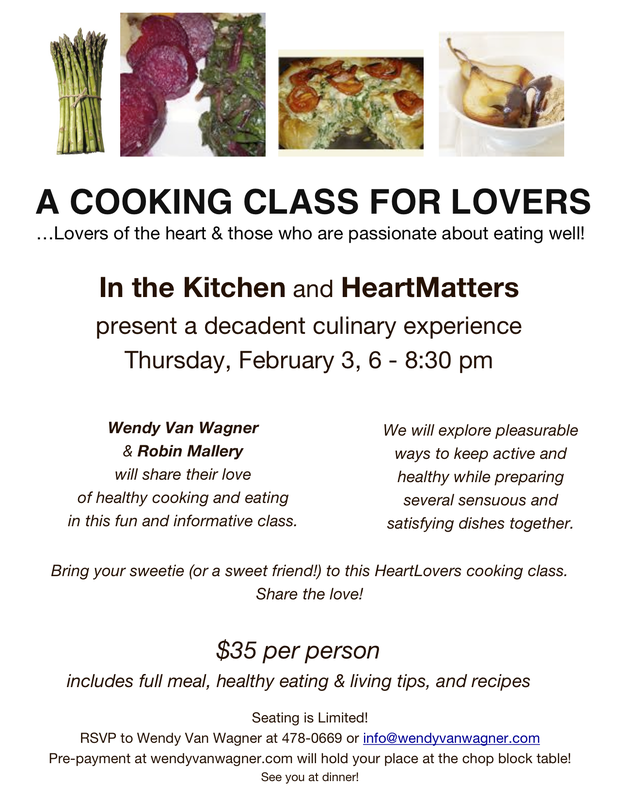 Join me and Wendy Van Wagner at In the Kitchen for an evening of culinary decadence. We’ll meet around the chop block on Thursday, February 3 at 6 PM, to share the labors of love, as we create healthful dishes that will tantalize your romantic taste-buds! 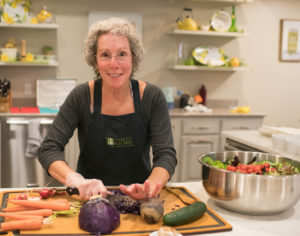 This class is $35 per person and includes a full meal, recipes for each dish, lots of lively discussion about pleasurable ways to keep active and healthy, and a whole lot o’ fun. Pre-registration is requested at Wendy’s In the Kitchen website or by calling 478-0669.